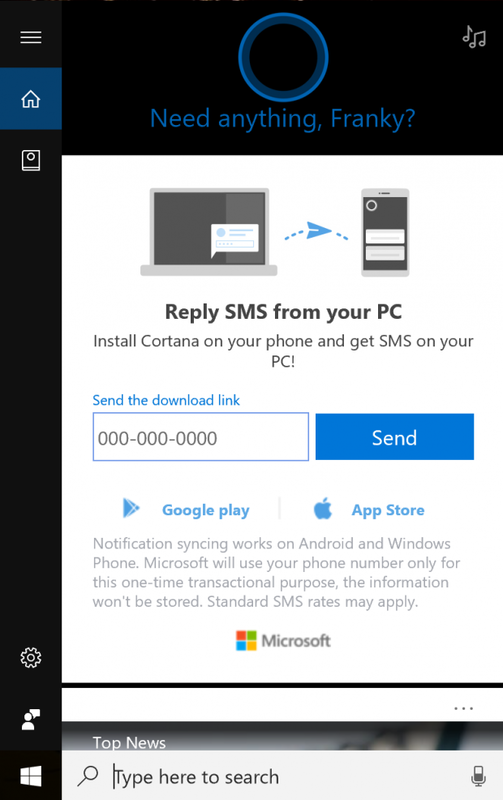 Hanging around Microsoft’s personal assistant all day likely won’t be a legitimate cure for loneliness, but Cortana calling you by your name might help flatter you a little bit. 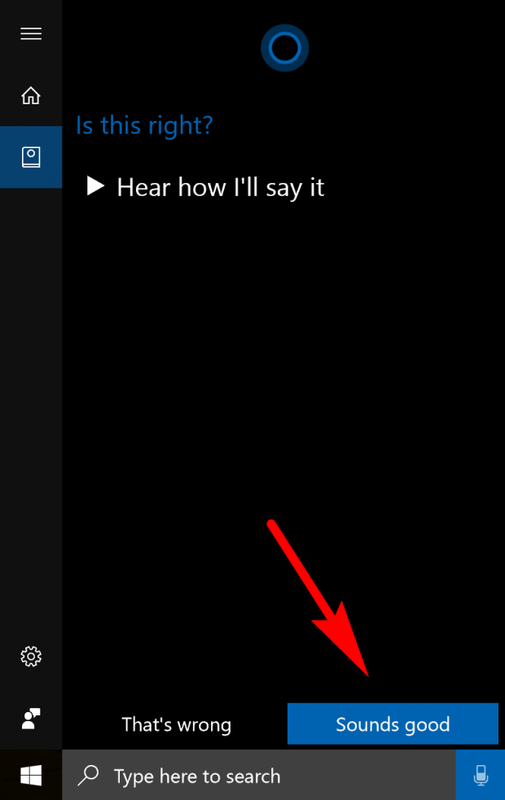 When you set up Cortana in Windows 10, you get the chance to let her know your name which she will then refer to you as from time to time. It doesn’t have to continue being that same name that you told her when you initially set her up if you feel the need to change it some time down the track, though. Once in a while, people want to have fun and be referred to as something else other than their real name, and other times people legitimately change their names and would like Cortana to start using that new name. 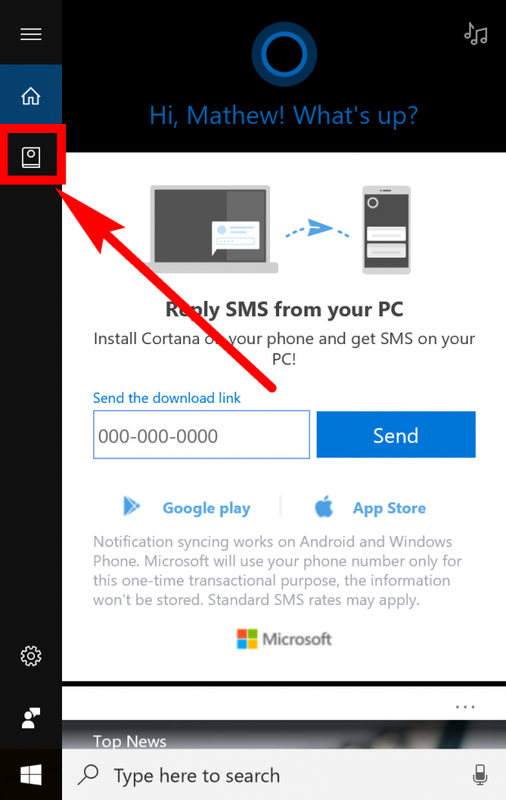 You can change the name that Cortana refers to you as directly from Cortana’s settings. 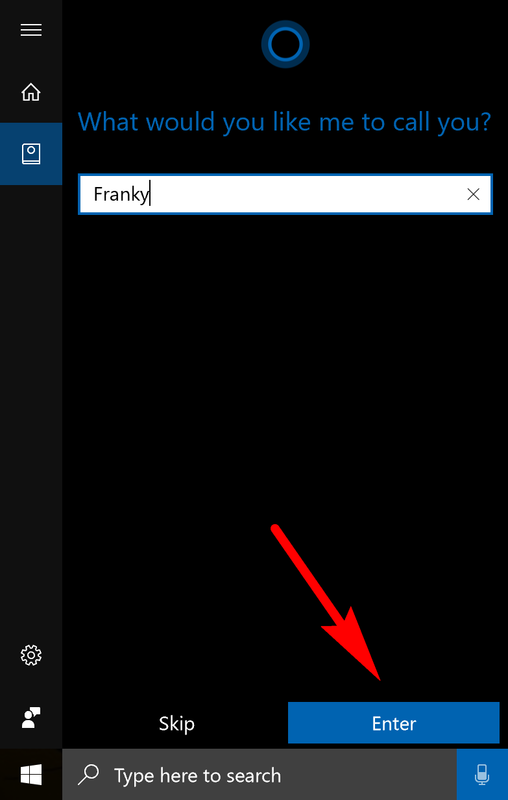 Start by clicking on the Cortana icon on the taskbar (located inside the search box) or by pressing the Windows logo + S keys to open up Cortana and then clicking on the “Notebook” icon. Click on the “About Me” link from the Notebook’s menu. Click on the “Change my name” link. 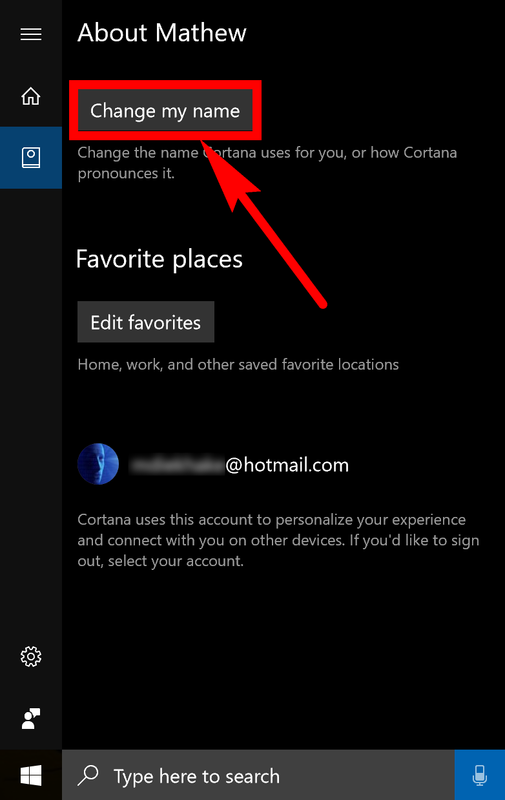 Choose the name that you would like Cortana to refer to you as in the future. Once done, click on the “Enter” button at the bottom. You have the option of hearing what the new name sounds like when she says it by clicking on the “Hear how I’ll say it” link. When you’re satisfied, click on the “Sounds good” link at the bottom. You’ll now see a confirmation message letting you know that the new name is set up and she knows what it is. Click on the “Done” button to exit the new name set up. 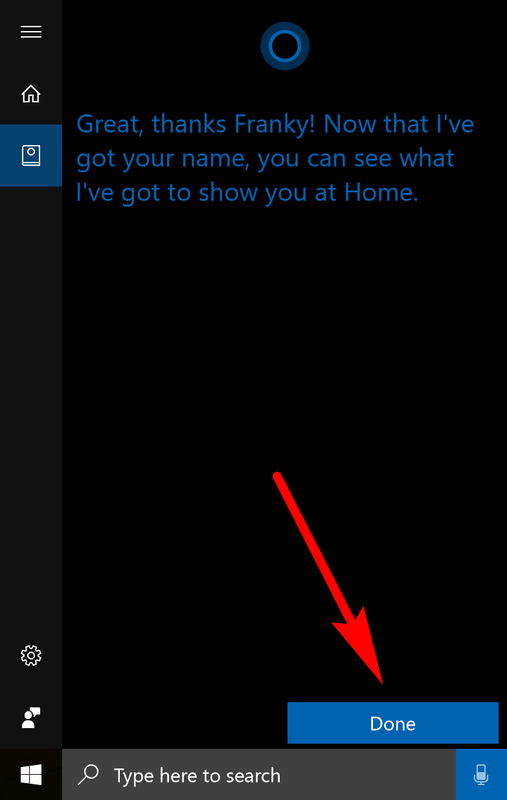 Now each time you open up the Cortana menu, you’ll be referred to like the name that you chose. You should also hear her say the new name when she feels the time is right. People are taking a while to warm to personal assistants, so Cortana shouldn’t take it too personally when most of you don’t call her name today. Old-fashioned familiarity has people using computers like they always have without personal assistants playing much of a role for now. 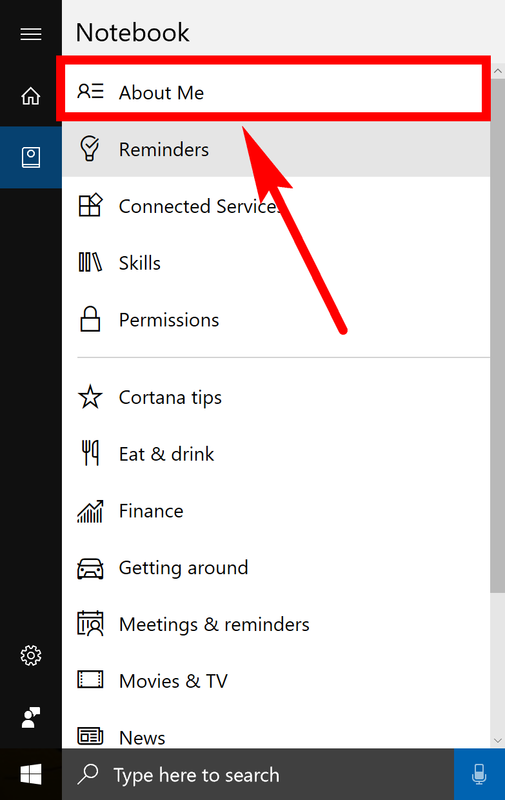 There are some useful tricks that Cortana has up her sleeve, however, like being able to set reminders, identify songs, find out word definitions via a right-click with words highlighted in Microsoft Edge—and, of course, who could forget the option of calling you by your (or someone else’s) name?